Is it worth taking furniture and other equipment from the UK to Australia? What items should you take to Australia from UK? Is it allowed and is it worth to take furniture and equipment such as a TV, computer, etc? Is there any tax to be paid or are those items tax free? Are there any essentials that are worth taking from the UK to Australia? What items should I leave in the UK? How much does furniture cost in Australia? Is it worth to take furniture to OZ from the UK? The general rule is that an immigrant has the right to take his personal belongings to Australia without paying the duty. What are personal belongings? Well, all household items that you and your family use every single day at home and in your garden are considered to be personal goods and effects. Basically they include all items, which serve a normal family in a normal, everyday life. One of the most important rules to know is that your personal goods must be at least 12 months old. You have to be able to prove that anything you are taking with you to Australia as personal items, you have owned for the minimum of 1 year. Of course sometimes you may get away with it and be able to sneak one or two new items trough the Australian customs. However you should use common sense. For example, if a family of three arrives and takes five big, new televisions, the customs officers may think that three or four TVs are for sale. In this case, they may want you to pay the duty. If you brought just one television they certainly would not. Generally, the idea is that the items, you are taking with you, do not included goods which you intend to sell in Australia. All items you want to take should serve you and your family in your new home in OZ. Goods of greater value, such as cars, boats, machinery etc. are treated differently and if you take them to Australia without paying the GST and sell them you will have to pay the duty for them. The same apply to all personal effects and goods brought under the Personal Import Scheme. Should I take furniture to Australia? Is it worth? Yes, it looks very easy and straightforward but in fact it will take you a lot of time to get the right figures. Nevertheless it is definitely something you should do if your budget is tight. The value of personal goods significantly or several times exceeds the cost of transport. In this situation it is definitely worth taking your personal goods. Usually the consignment would consist of complete home equipment, with furniture, household appliances, audio and video equipment, sports equipment, tools, clothing, books, computers, ornaments and souvenirs. The value of the property is a little higher, or lower than the cost of transport. Usually the goods would consists of IKEA furniture, old white goods, boxes with items you could get rid of, large things of a low value, other cheap items but taking a lot of space. In this situation it is not worth taking your goods to Australia and you should consider leaving them in the UK. How much does it cost to furnish and equip a house in Australia? In the UK you will be able to sell your furniture for a quarter of the price, you will give away your furniture to your friends, charities or will have to pay to dispose it of. In Australia you will have to buy everything you need. Unfortunately new furniture is much more expensive over there. You can buy second-hand furniture but the Australian stores with used equipment (furniture, clothing,) are a pathetic sight. In short they look like a trash. Most airlines offer increased baggage weight limit – about 40kg. Make sure you have checked with your airline how much luggage you are eligible to take with you to Australia on the plane. Have you decided to take your furniture with you? Make sure you very carefully pack and protect it. The sea will swing and rock your furniture and personal effects about 40 days. If your goods will be loose in boxes or in a container they will get damaged. Remember why you are taking your things to OZ - to save some money. If you do not protect your furniture properly the whole operation does not make any sense. In most cases people that are moving to Australia are staying in a temporary accommodation before they buy a new house. If your temporary accommodation is smaller than your house in the UK you need to have a storage container or some extra space where you can keep your goods that you have brought from the UK. There are a few options you can ask your removal company to organize the storage for you. You can also rent a garage or contact one of the warehousing firms in the area of where you will be staying. Before you make a decision whether to sell your furniture or take them to Australia you should know how much it costs to buy new furniture in OZ. To facilitate you a rough analysis of the costs associated with rebuilding a household in Australia you can use the prices of furniture and every day use house equipment which we have prepared for you and placed in the tables below. The tables show individual rooms of an ordinary house, the basic equipment and furniture that you will need to furnish your new home. 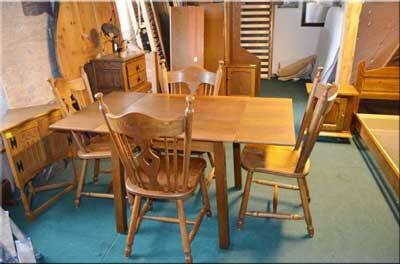 Next to the furniture and equipment you can see average Australian prices of new furniture. This has been prepared for a family of 4.
collections of stamps, coins, etc. The furniture and equipment shown above represent how an average Australian family would furnish and equip their house. The furniture costs and home equipment prices should be taken as guidelines only. 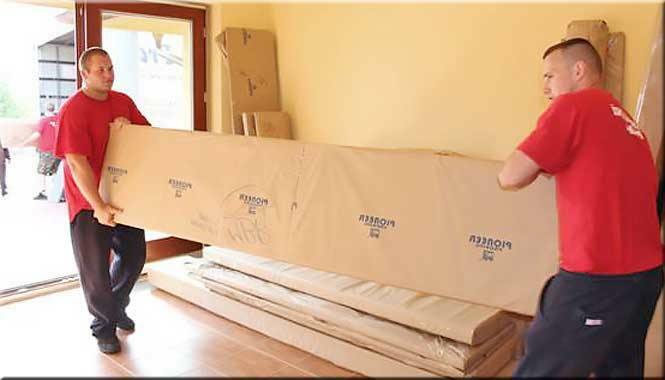 If you are moving a house which is smaller or much bigger you need to adjust your furniture requirements accordingly. Now you know how much it would cost you to replace all your possessions if you decided to leave all your goods in the UK. If you are relocating with children or with the entire family in most cases you will find that it is worth taking with you to Australia all your belongings. To buy everything new in OZ simply costs a fortune. Very often people do not realize how many items they possess and how much they cost. If you buy or rent an unfurnished house in Australia it will cost you about $70 500, 00 to furnish and equip it. Of course you can reduce this figure significantly but still it will be quite a large sum.